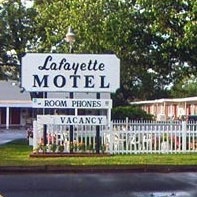 Marian Lobinske Foy purchased the Lafayette Motel & Restaurant in 1964. She worked tirelessly to create a place where customers would feel comfortable and welcome. Her daughters are now at the helm, continuing her legacy in this lovely area of the Finger Lakes. Open year-round, providing clean comfort and a delicious diner inspired menu to serve the needs of travelers and residents alike.